PBL members have the competitive edge, as the best and brightest of FBLA and PBL convene to compete in leadership events, share their successes, and learn new ideas about shaping their career future through workshops and exhibits. The FBLA-PBL National Awards Program recognizes and rewards excellence in a broad range of business and career-related areas. At the State Leadership Conferences, students compete in events testing their business knowledge and skills. Events range from Job Interview to Sports Marketing and Management. Top state winners are then eligible to compete for national awards at the National Leadership Conference each summer. New in 2015, the State Leadership Conference established business round table discussion boards. These round tables were composed of business industry professionals from across the state who provided answers to the questions every student wants to know: how do I land my dream job? 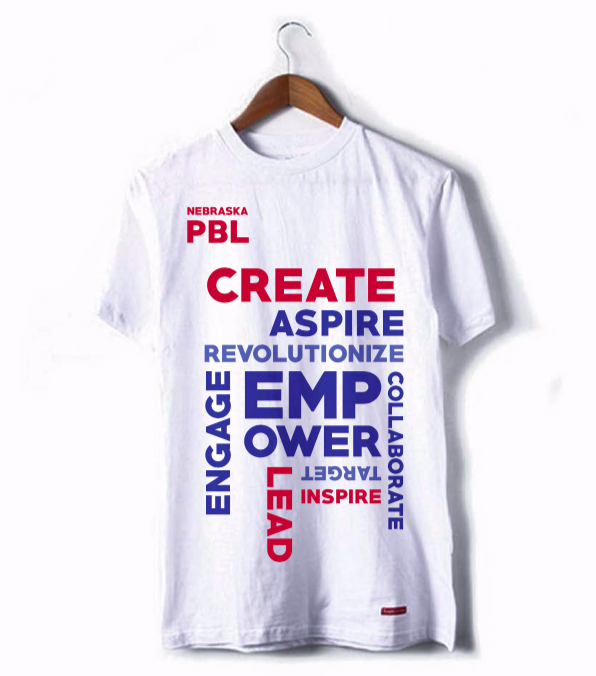 Not only do the round tables provide students with real life examples of what their education is aimed at achieving, but it also helps connect Nebraska PBL to its business roots. Please contact the current State President at president@nebraskapbl.org for opportunities to attend, sponsor, or present. This year, all members will pay a flat rate of $65 to attend and compete at the State Leadership Conference. Please, send any questions to your State Officers or Advisers. How many shirts are you ordering with this form?